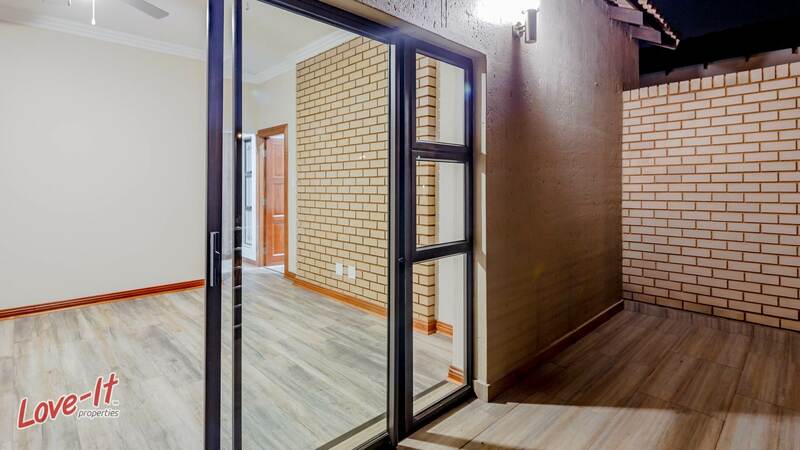 What a pleasure to find a newly built home with an established garden to welcome you. 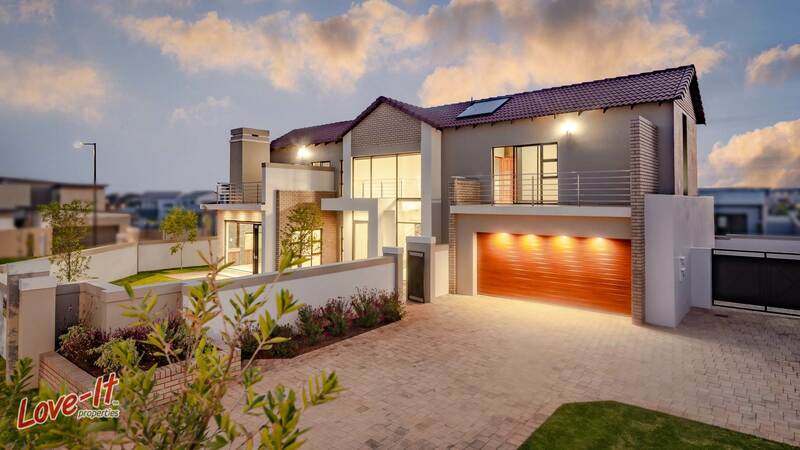 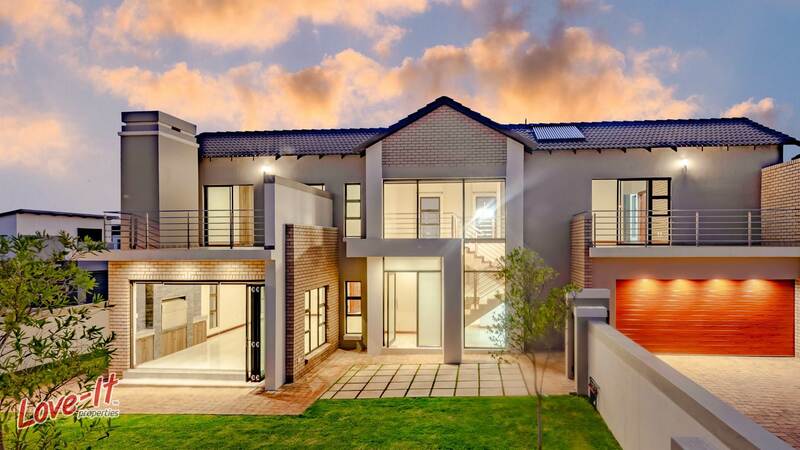 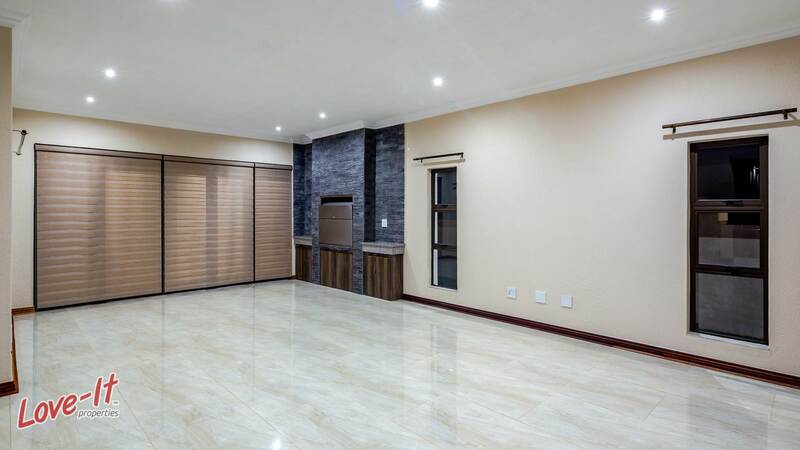 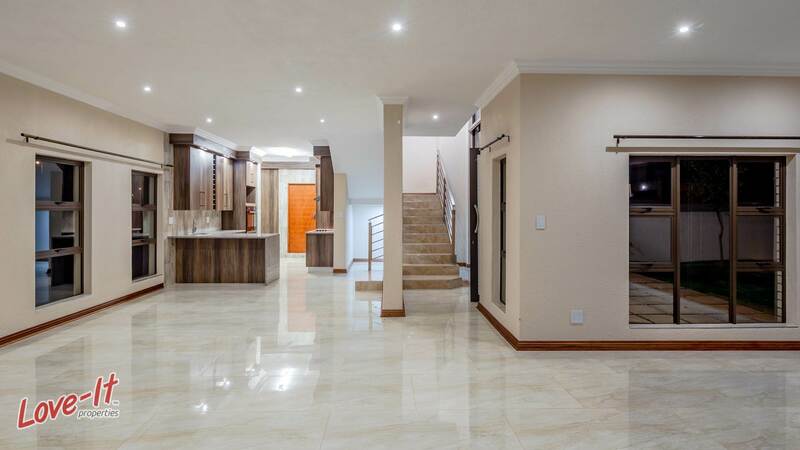 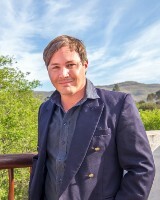 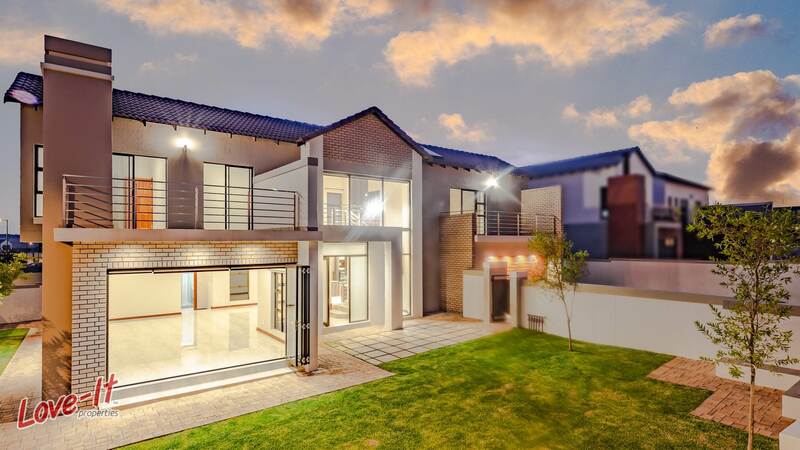 This home is located in Midstream Meadows Estate, which form part of the Midstream group of estates. 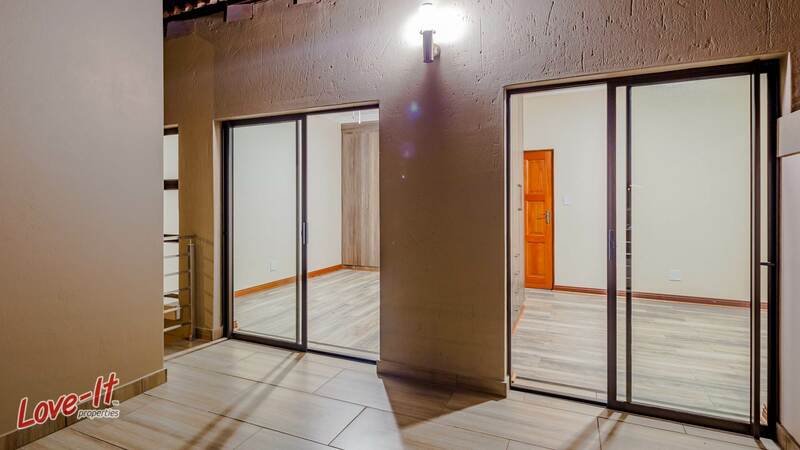 Guests enter through a steel gate from the paved parking area towards the front door. 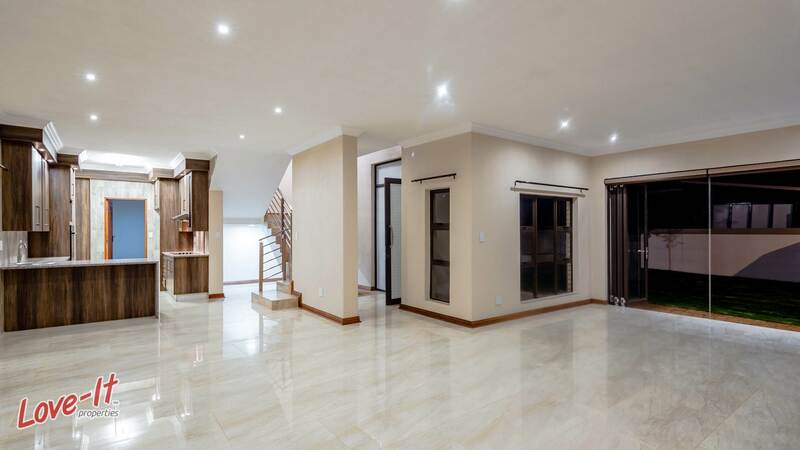 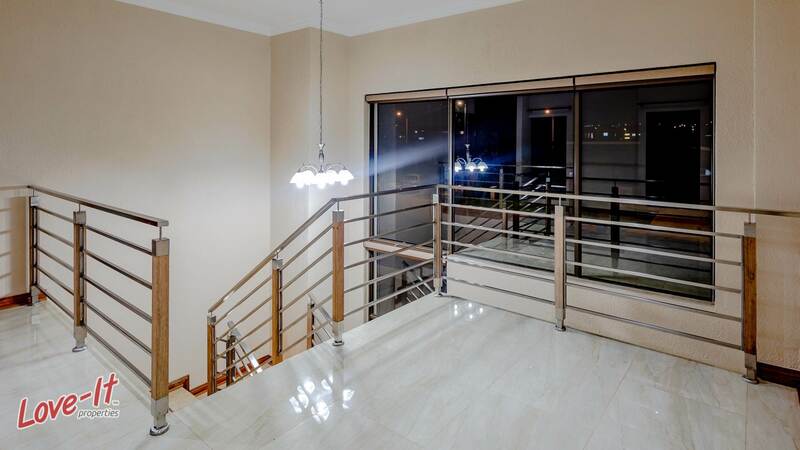 From the foyer you can either access the lovely marble like staircase to the first floor on your right or your entertainment area to the left. 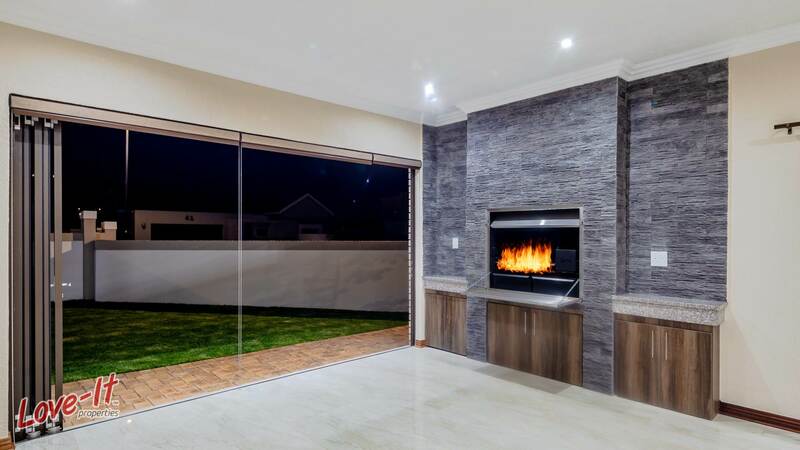 The entertainment area is big and the stacking doors allow you to keep the winter out or let summer in. 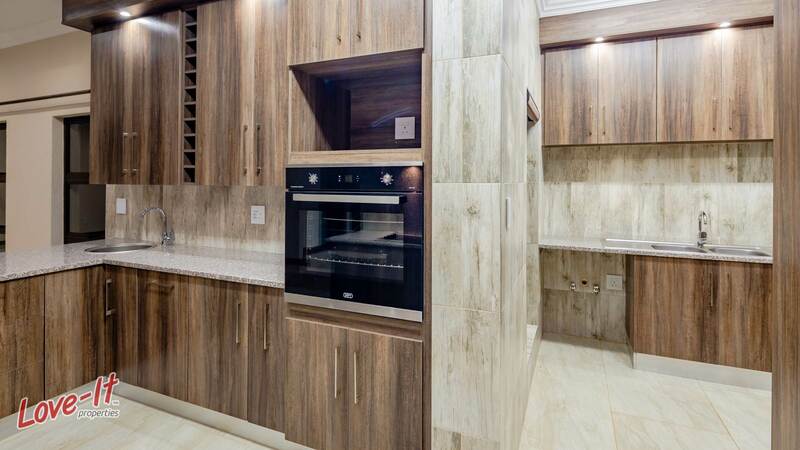 Cupboards alongside the braai rounds off this beautiful room. 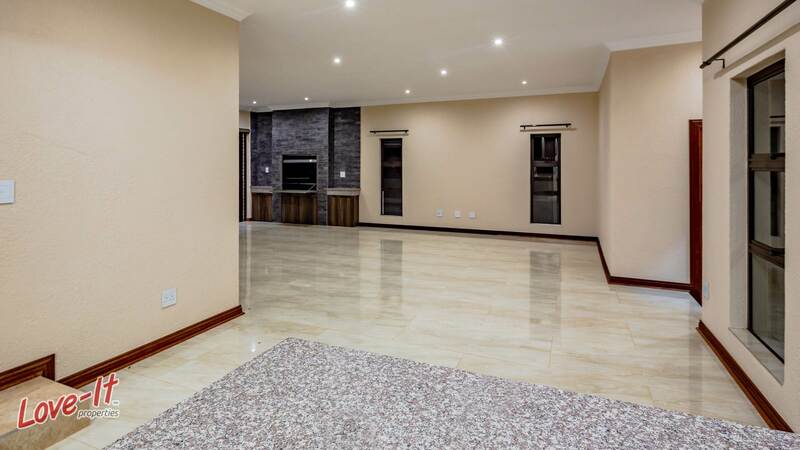 The entertainment area leads to your living and dining areas with an open plan kitchen. 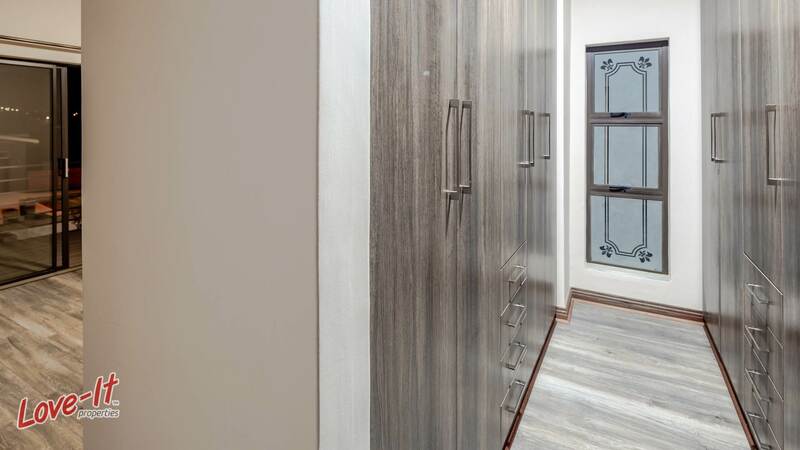 On ground floor also find a study and/or 4th bedroom as well as a bathroom with basin, shower and toilet that doubles as a guest bathroom. 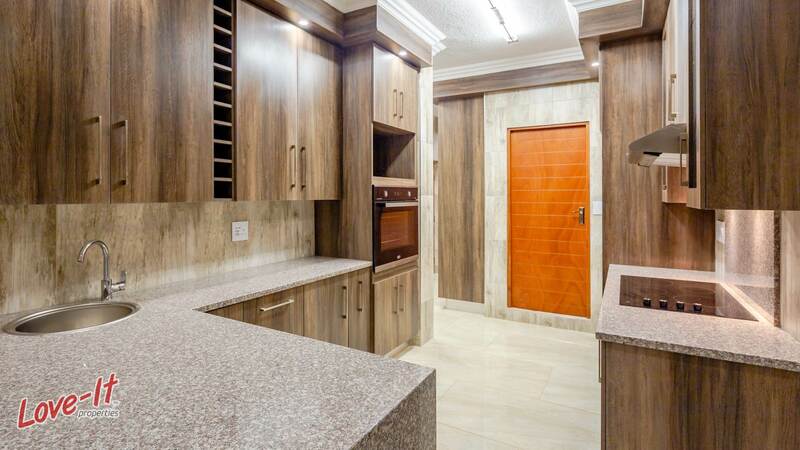 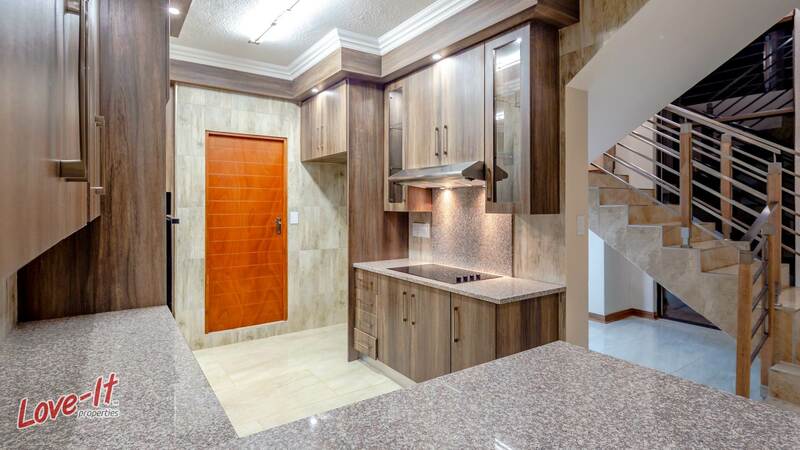 The kitchen is every woman’s dream with beautiful kitchen cabinets, granite counter tops, ample lighting and a separate scullery to house all the appliances you might need. 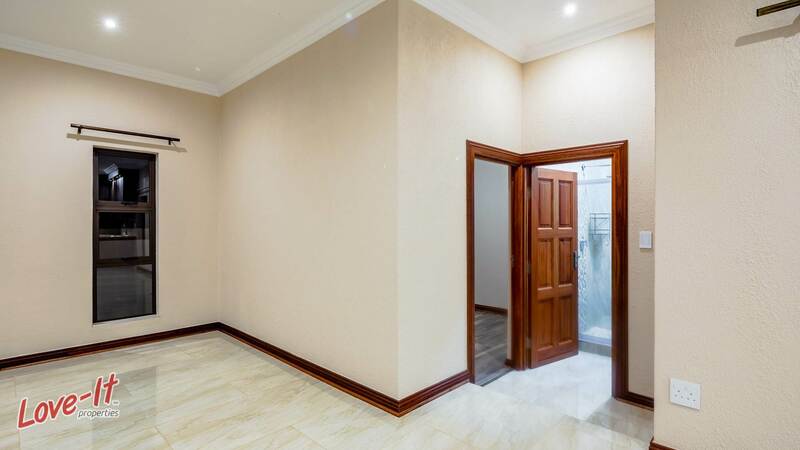 A door from the kitchen gives access to the double garage. 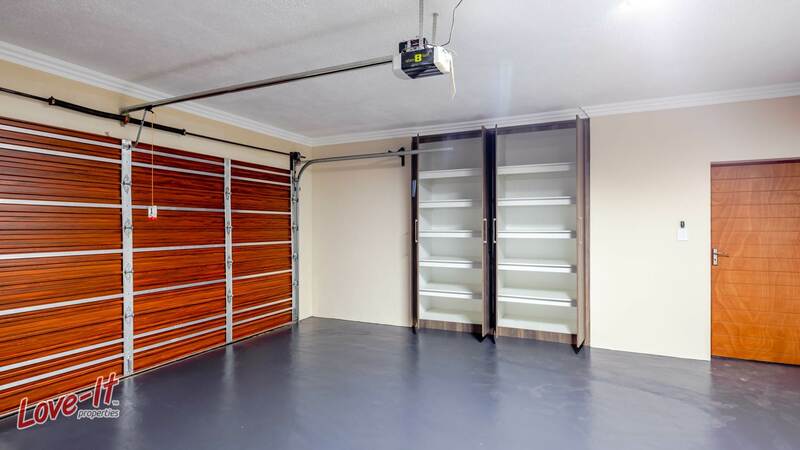 The garage has built in cupboards for easy storing. 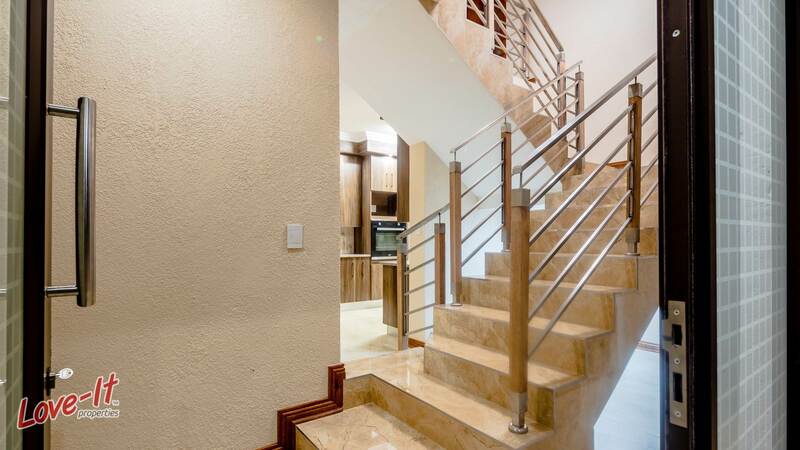 Access the stairway to the first floor from the kitchen or front door area. 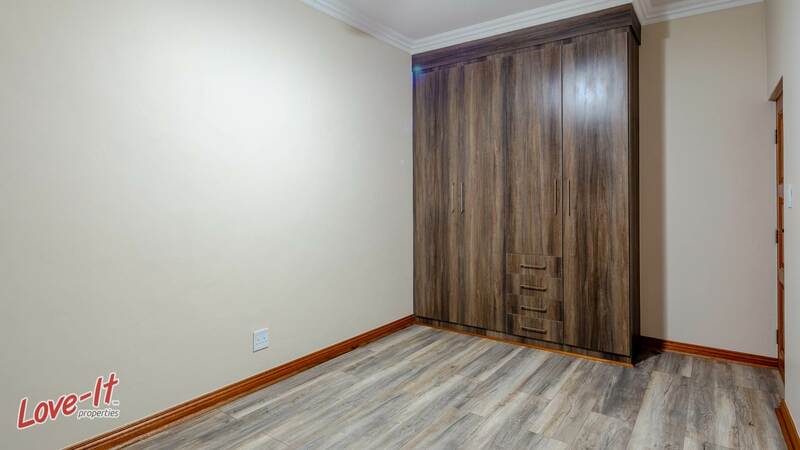 The landing has enough space to set up a small study, work space or pyjama lounge before entering the hallway to the bedrooms. 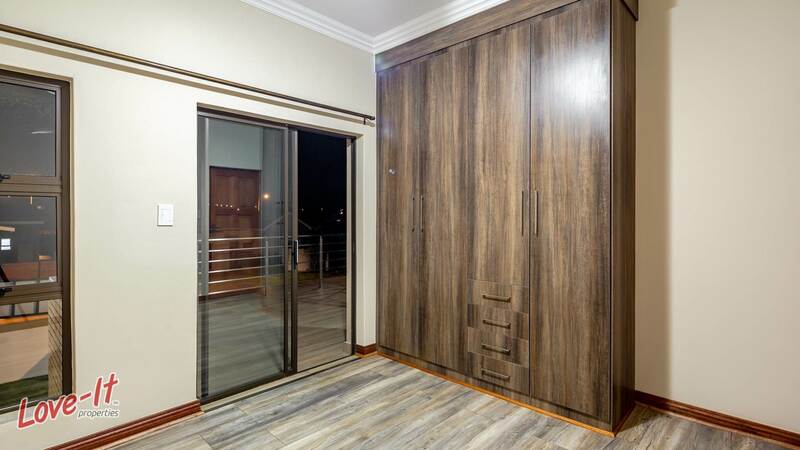 The main bedroom with lovely laminated flooring has a sliding door leading to a balcony big enough to place some easy chairs on which you can enjoy every sunset in private. 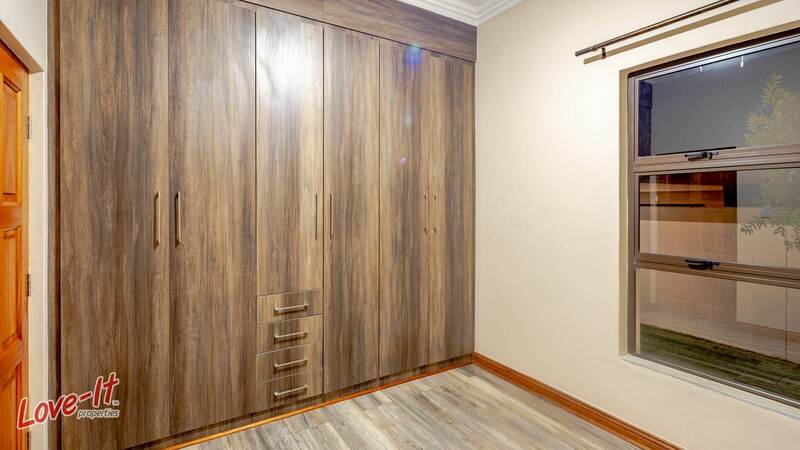 Walk in cupboards a great feature of this room. 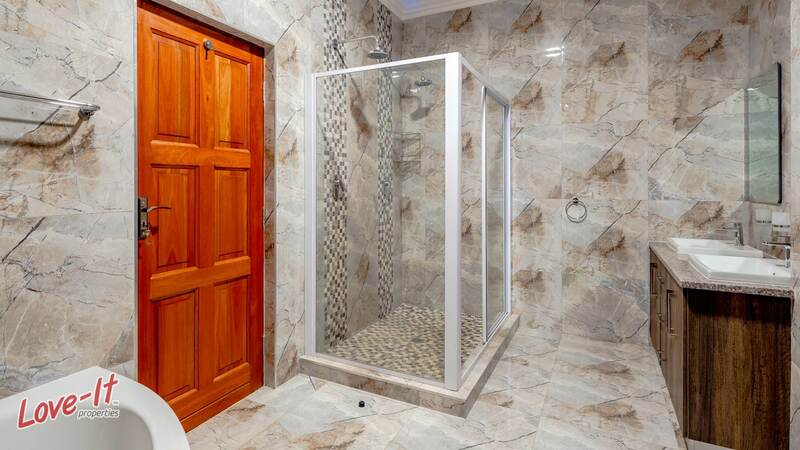 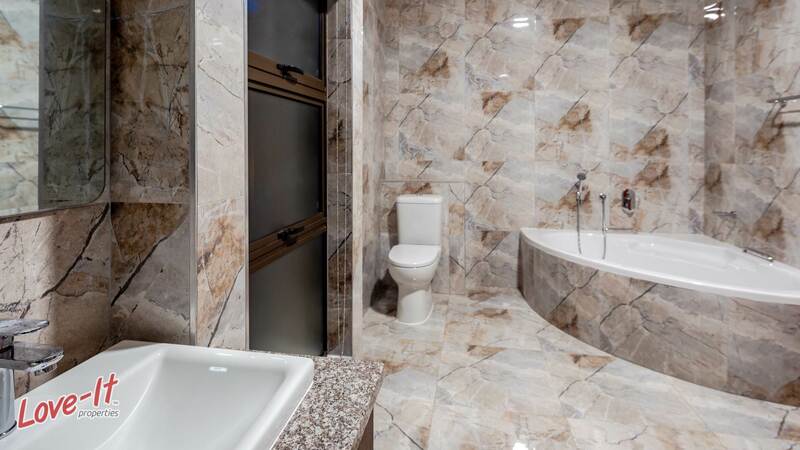 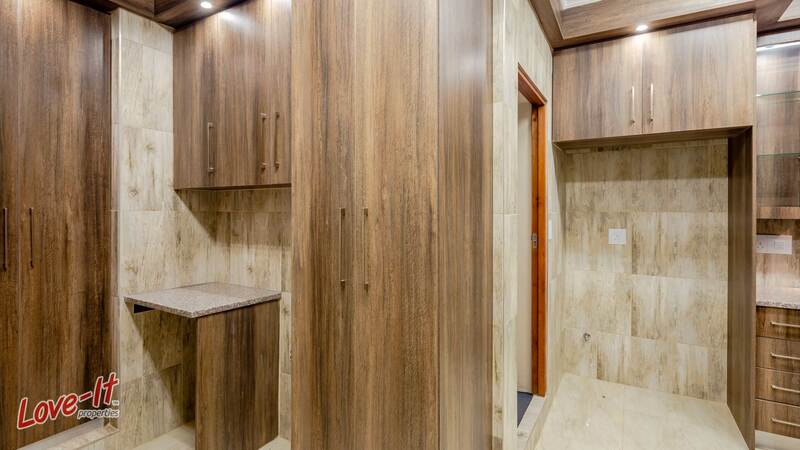 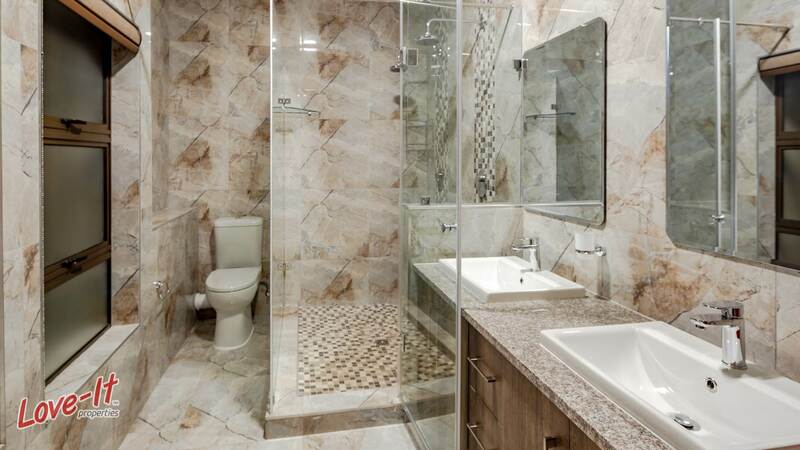 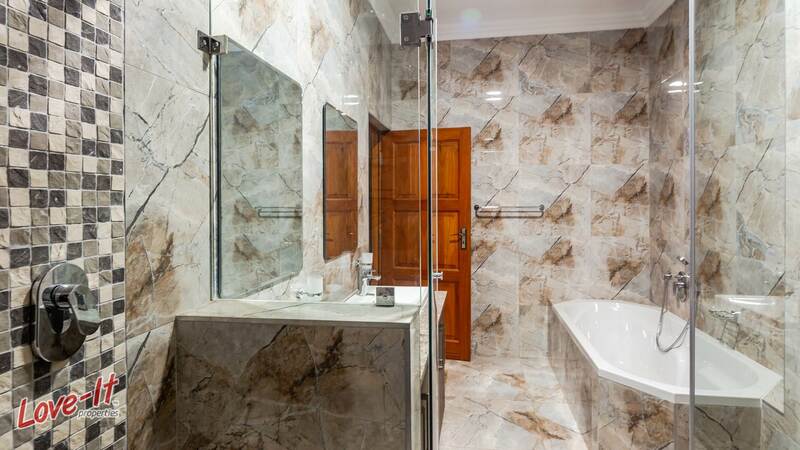 The large end suite bathroom has a bath, his and her basin, a large, dual shower with two shower heads and a toilet. 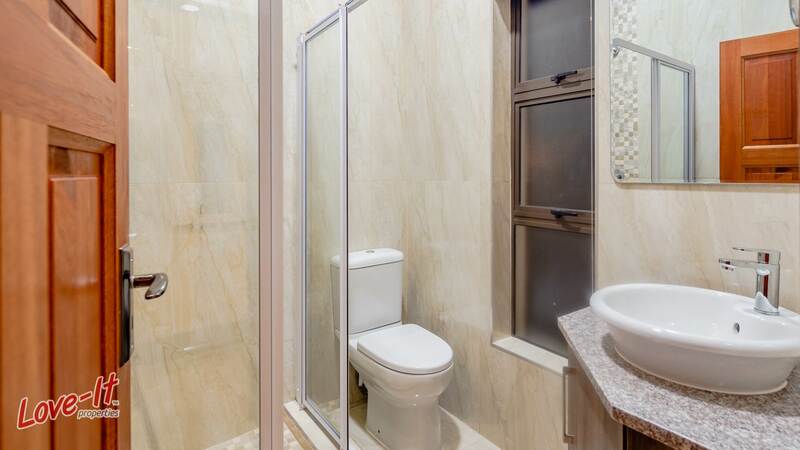 Both 2nd and 3rd bedrooms has access to a shared balcony and shares a family bathroom with a bath, his and her basins a shower with 2 shower heads and a toilet. 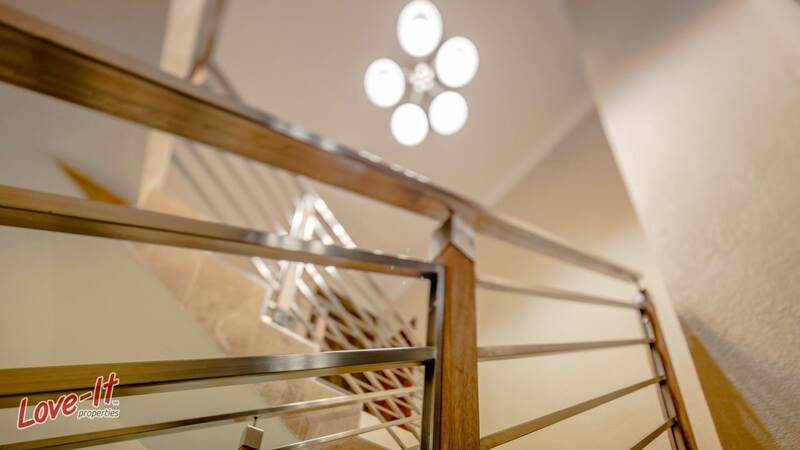 Great care was taken with the choice of fittings that really makes this home very special. 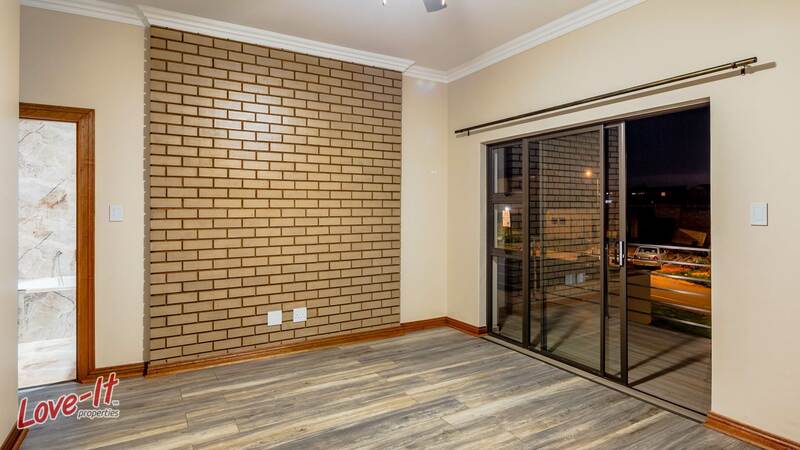 The lovely garden has enough space for adding a pool, a fire pit, or which ever wish you might want to fulfill – the space is there. 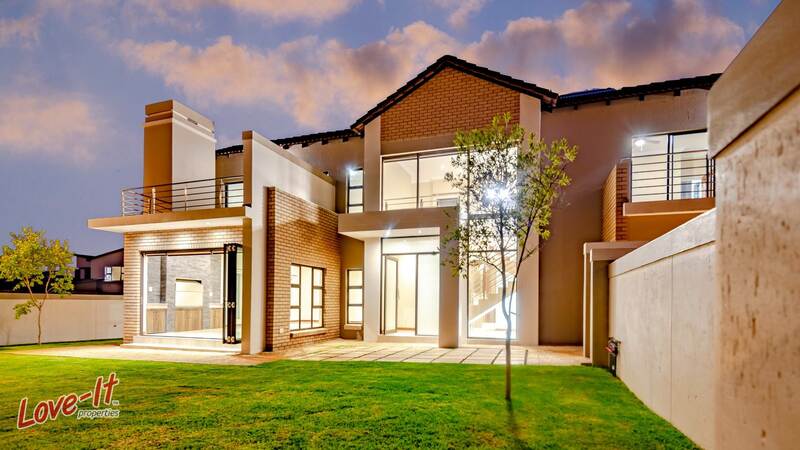 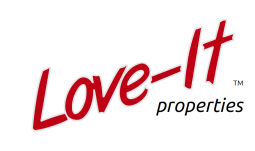 Contact the Love-It team to make this dream house your home.